This special meditation is the next piece of our series of the Keys of Creation. 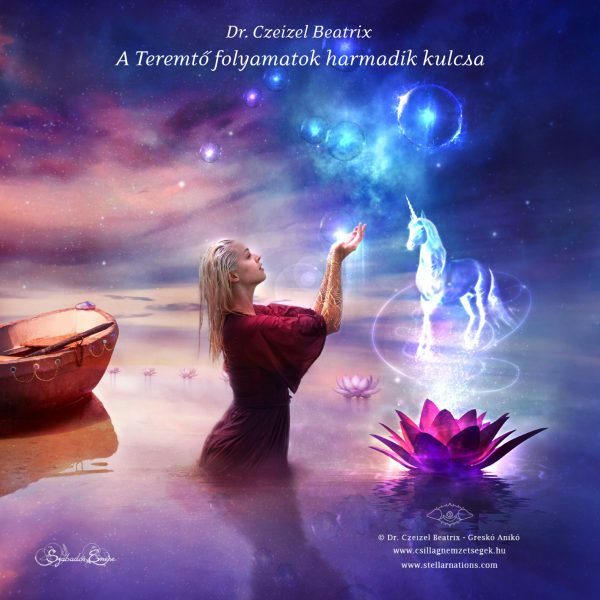 In this precious gem, we introduce the mystery of how the “Unicorn-Human” dreams and how the Cosmic Human can transmute the 3rd dimensional earthly world with the light-substance of his or her dreams and the blessing of the cosmic wisdom of the Stellar Nation of the Unicorn, to awaken the sacral motion of manifestation. In this beautiful inner journey, the primordial couple, Áhann and Iota teach us to create and realize our plans and long-held dreams, by understanding the stations of the earthly creation processes, which are always at work in the background. If we bring these stations about intentionally, we can be much more successful in our creations. In this process of creation and manifestation, the secrets of the yang and the yin paths, the teachings of God and the Goddess both align. They come to life within us, to serve the realization process and help us to make our dreams alive. We wish happy fulfillment to you all!